On Thursday, August 23, a Researcher Exchange Meeting by NanoLSI and JST PRESTO (Precursory Research for Embryonic Science and Technology) in the fine particles field was held. 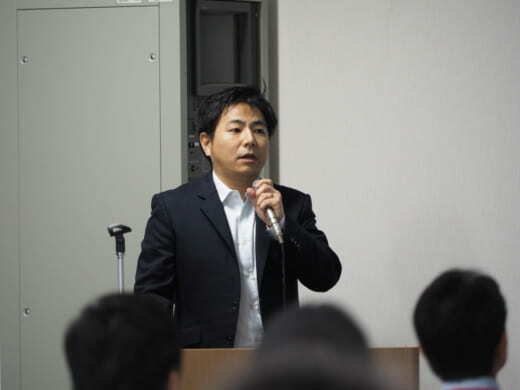 Fifty researchers and graduate students participated in this event. 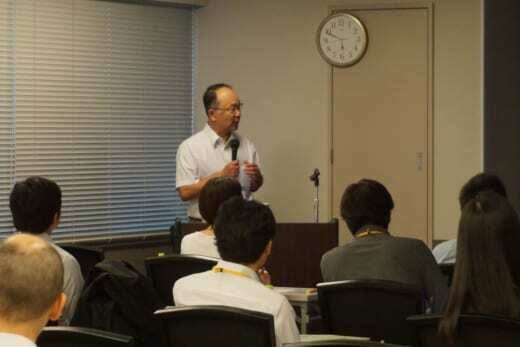 At the beginning of the meeting, Dr. Akihiko Nakano (Research Supervisor/Deputy Director, RIKEN Center for Advanced Photonics) and Dr. Takeshi Fukuma (NanoLSI Director) introduced their research areas and institutions. 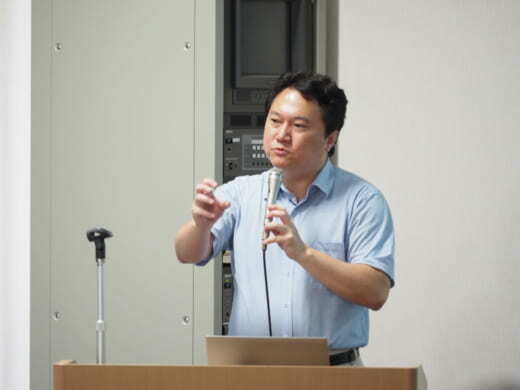 During the meeting, Dr. Yoshitaka Shirasaki (JST PRESTO researcher, Department of Biological Sciences, Graduate School of Science, The University of Tokyo) and Dr. Masafumi Nakayama (Associate Professor, Frontier Research Institute for Interdisciplinary Sciences, Tohoku University）gave presentations. 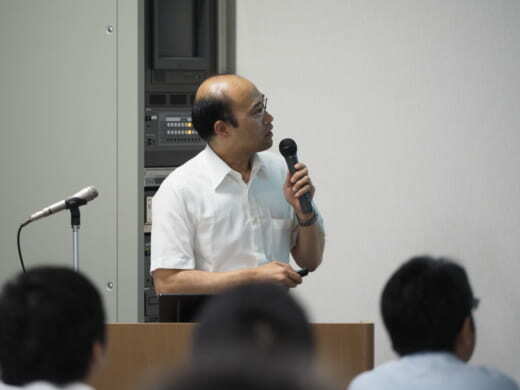 From NanoLSI, Prof. Rikinari Hanayama and Assoc. 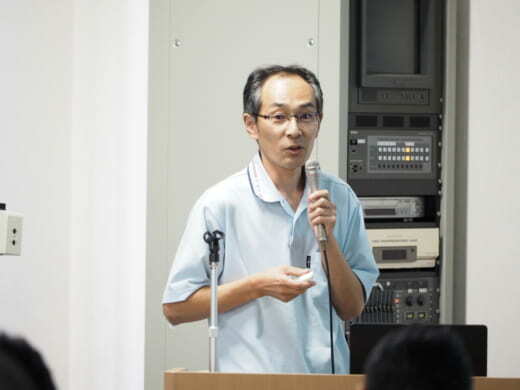 Prof. Hiroki Konno gave research introductions. 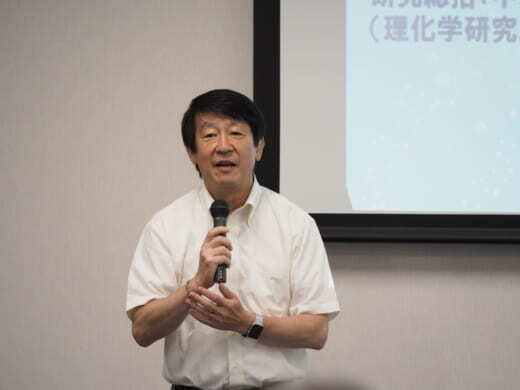 During the lab tour, there were moments when the researchers of PRESTO cheered during a demonstration of High-speed atomic force microscopy (HS-AFM) by Prof. Noriyuki Kodera. By the end, researchers from both institutes got together for networking and this Researcher Exchange Meeting ended in success. 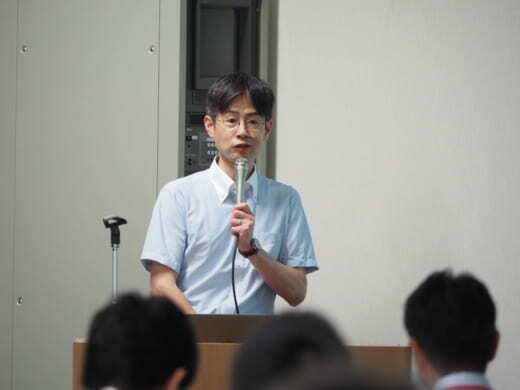 In addition, there was a special presentation by Prof. Toshio Ando on August 22. The young researchers of PRESTO asked a variety of questions to Prof. Ando who has been engaged in this research for many years. This event was a valuable opportunity for both researchers to contribute to their future research.